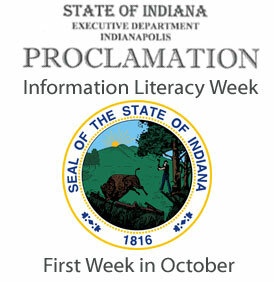 Now, therefore, I, Mitchell E. Daniels, Jr., Governor of the State of Indiana, do hereby proclaim the first week of October, 2012 as Indiana Information Literacy Week in the State of Indiana, and invite all citizens to duly note this occasion. You can also view the official document on the National Forum on Information Literacy blog. Today’s United Way kickoff scheduled from 10 a.m. – 2 p.m. will be held inside HMSU due to possible inclement weather. Be sure to stop by the United Way table and vote for your favorite student artist. The United Way table and easels for the artists will be set up near the south windows between the print station and Ikon. This is a People’s Choice Award event so every dollar you donate to a specific “work of art” counts as a vote. Not only will the artists win prizes, but voters have a chance to win $10 pizza gift cards as well. Money raised at this event will go toward helping our friends and neighbors right here in the Wabash Valley. oversize LC call number ranges on 2nd and 3rd floors. This October Carey Sturgeon will be reading a juried paper entitled, My, my. A body does get around: Sexuality and Violence in William Faulkner’s Light in August, at the upcoming Faulkner and Warren Conference, sponsored by the Center for Faulkner Studies, Southeast Missouri State University. This annual conference features scholarly presentations on a variety of topics related to William Faulkner and/or Robert Penn Warren,a nd includes papers, panels, lectures, recitations, and historical tours. Congratulations, Carey! The movement toward “open access” publishing — in which scholarly journal articles are available free — is taking off without consideration of the impact on humanities scholarship, says a statement being released today by the American Historical Association. On Tuesday, Sept. 25, faculty and staff are invited to a Discussion on the Fall Read Book, The Glass Castle. Please join us at 4:00 p.m. in HMSU 407. 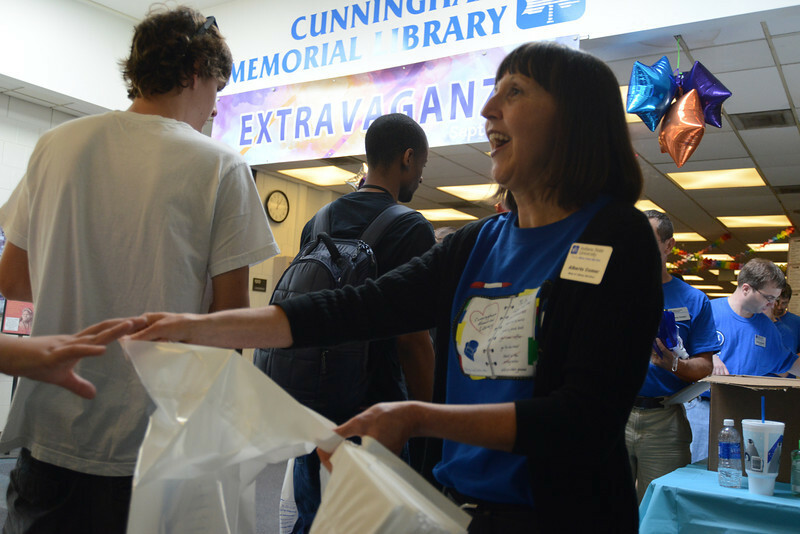 More than 5,000 students attended the 10th annual Cunningham Memorial Library’s Extravaganza at Indiana State University. 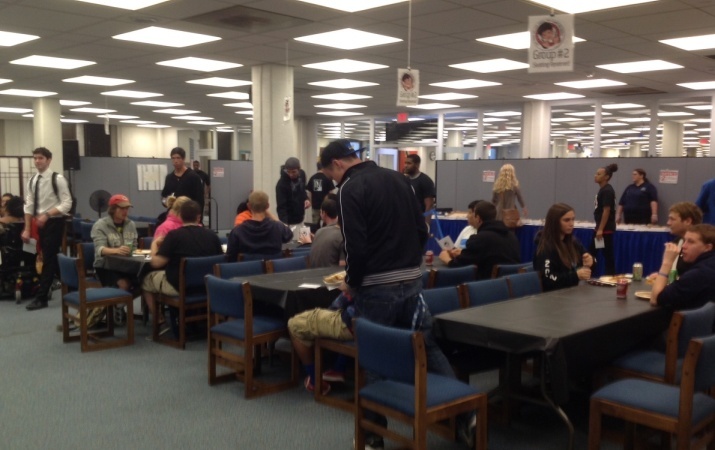 Students were encouraged to attend and learn about the new services that the library has to offer as well as given lunch of pizza and soft drinks. 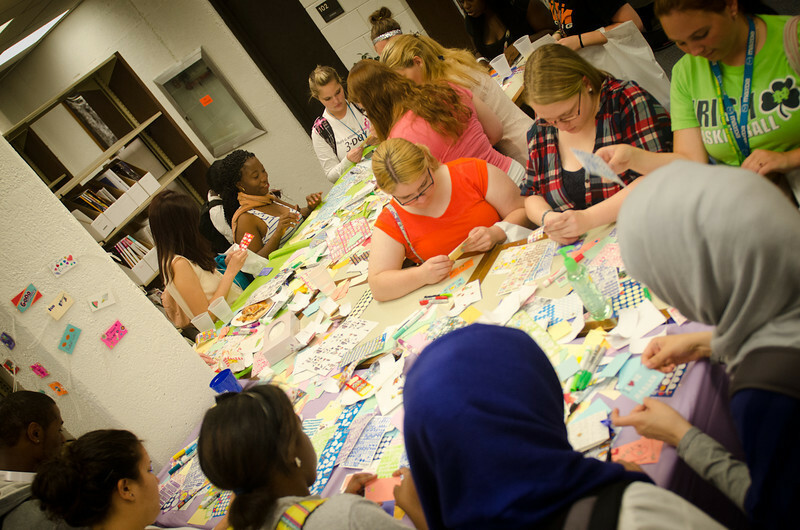 “I believe that students will benefit from attending the Extravaganza by learning about library resources and services as well as discovering what other groups across campus have to offer students. Since the atmosphere is lighthearted, hopefully, attending will also help alleviate any anxiety students might have about using a large academic library,” said Dean of Library Services Alberta Comer. Students seemed to agree. “The Library Extravaganza was a great way to find different sources located throughout campus that would help benefits us,” said sophomore Samuel Spencer, who is majoring in exercise science and Spanish from Brazil, Ind. 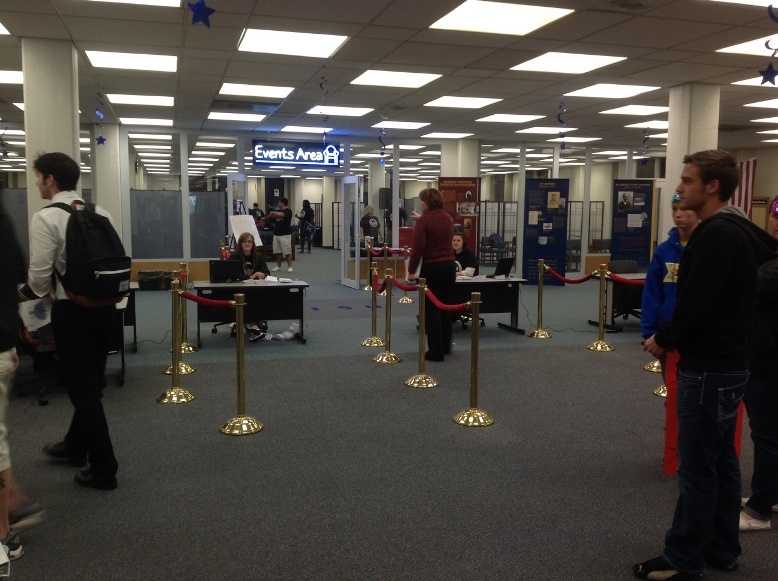 Comer said that the library staff‘s number one goal is meeting the research needs of the students and faculty. The library is open from noon on Sunday to 7 p.m. on Friday; Saturday hours are noon-5 p.m.
“We offer places for quiet individual study as well as group study including the new media: scapes technology and seating arrangements and furniture,” she said, adding that the library also offers access to more than 50,000 electronic journals. The library also is partnering with the Office of Information Technology to create a space that is more accessible to students’ group study needs and that has electrical plugs for charging laptops. “They draw you in at first with food and decorations but once you get here you can’t help but be informed about the different resources,” said Jacob Martin, a sophomore food service management major from Clinton, Ind. 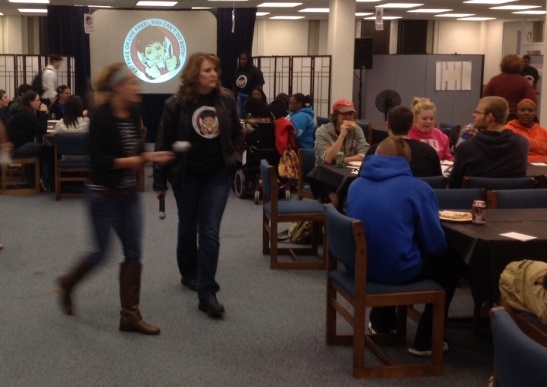 Organizations and offices from across campus also provided information to students at the Extravaganza. “For one thing a lot of students don’t realize that the Career Center is a place that students can benefit from, starting their freshman year and use throughout their college career. 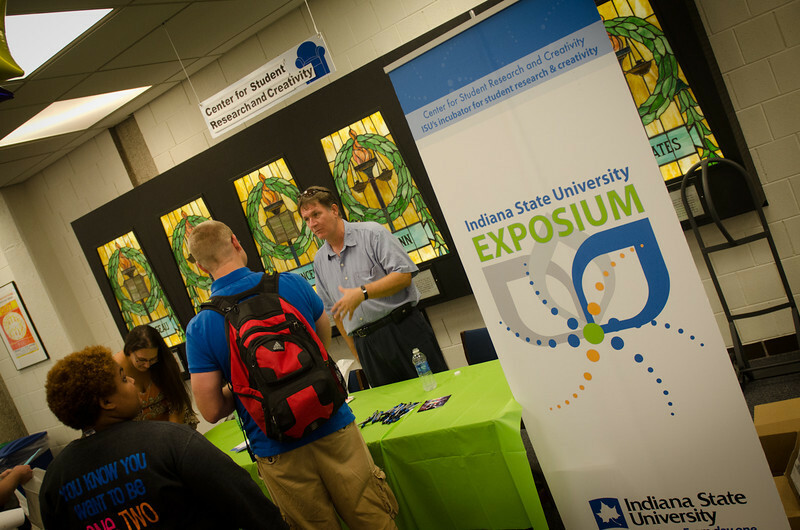 Career exploration is available to help students decide what they can do with their major,” said Tracy Powers, executive director of the center, said about attending the Extravaganza. 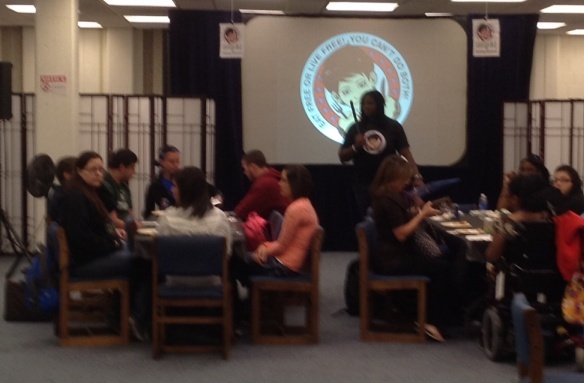 From library resources to organizations, the Extravaganza tries to show the students all of the help available to them. “It’s beneficial, everything you need to know is all here,” said Tamara Davis, a junior criminal justice major from Indianapolis. Photos:http://isuphoto.smugmug.com/Events/Library-Extravaganza-2012/i-QmVFs6G/0/L/LibraryExtravaganza-0090-L.jpg Alberta Comer, dean of the library, greets students as they enter the library for the Extravaganza. http://isuphoto.smugmug.com/Events/Library-Extravaganza-2012/i-mX2XRhR/0/L/DSC7999-16-L.jpg Students participate in an activity during the Extravaganza. http://isuphoto.smugmug.com/Events/Library-Extravaganza-2012/i-9DpzSkD/0/L/DSC8032-35-L.jpg Tom Steiger, director of Center for Student Research and Creativity, tells students about the center. 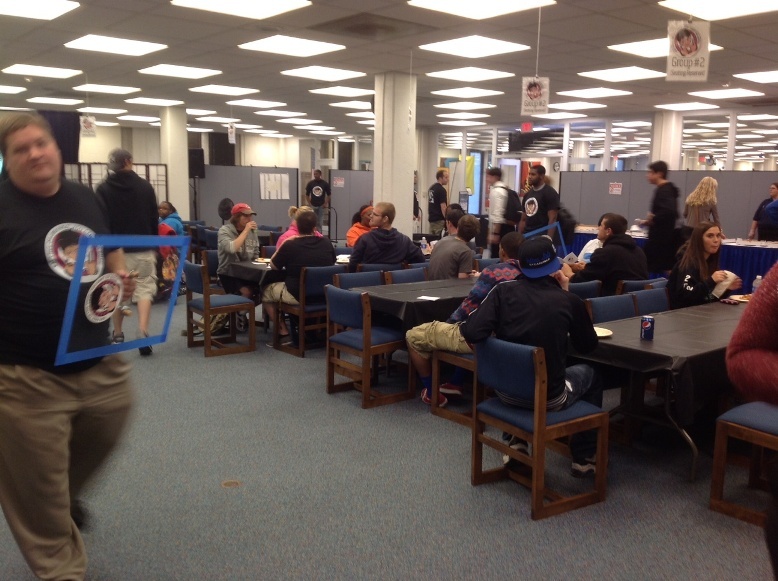 Photos of event going on in Library Events until 1pm today. The Indiana Statesman and the American Democracy Project will host the First Amendment Free Food Festival Wednesday in conjunction with Constitution Week. The event will give students a glimpse of a world without some of the basic freedoms they take for granted. Students will convert Cunningham Memorial Library into the country of where there is no respect for religion and no protection in place for speaking freely or gathering with friends. It’s also a world where the press has no freedom to report news without heavy-handed government intervention. Student demonstrators will be protesting Treelandia’s government, and Treelandia law enforcement will “jail” those who try to maintain those American First Amendment freedoms. A talkback session will allow students to ask questions and gain more information about what they experience during the event. The event takes place Wednesday between 11 a.m. and 1 p.m. in the Events Area of Cunningham Memorial Library.